What Should a U.S. Citizens Do if Their Passport is Lost or Stolen Abroad? The first thing you should if you lost your passport when abroad is contact the nearest U.S. embassy or consulate for assistance. Phone numbers for U.S. embassies and consulates are also available here Country Specific Information and Key Officers handbook. You will need to speak to the American Citizens Services unit of the Consular Section. If you are scheduled to leave the foreign country shortly, please provide the Consular Section with details regarding your departure schedule. Every effort will be made to assist you quickly. You will also be directed to where you can obtain the required passport photos. If you are notified by a relative or friend that their U.S. passport has been lost/stolen, you may wish to contact Overseas Citizens Services, (202) 647-5225 at the U.S. Department of State in Washington, D.C. providing as much information about possible about the person’s who needs passport services abroad. This will assist us in trying to verify the person’s previous passport, clearing the person’s name through the Department Passport Name Check System, and relaying this information to the U.S. embassy or consulate. Your relative/friend must apply for a new passport at the nearest U.S. embassy or consulate. What Are the Requirements to Obtain a Replacement Passport? You will need to complete a new passport application. The consular officer taking an application for replacement of a lost, stolen, or misplaced passport must be reasonably satisfied as to your identity and citizenship before issuing the replacement. In virtually all cases this can be done through examination of whatever citizenship and identity documents are available, conversations with the applicant, close observation of demeanor and replies to questions asked, and discussions with the applicant’s traveling companions or contacts in the United States. Please note the new requirements for passports for minors under the age of 14 and how this will change the way passport applications for minors are handled abroad. What Information Will I Need to Provide the Consular Officer? 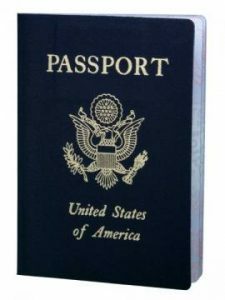 If you can provide the U.S. embassy or consulate with a photocopy of your passport identification page, that will make getting a new passport easier since your citizenship and identity information would be more readily available. Affidavit Regarding Loss/Theft of the Passport/Police Report: When you report the loss, theft, or misplacement of your passport you must execute an affidavit fully describing the circumstances under which it was lost, stolen. U.S. Department of State form DS-64 may be used for this purpose, or you may simply execute a sworn statement before the consular officer describing what happened. A police report is not mandatory but may be required when the embassy/consulate believes a problem may exist such as possible fraud. An applicant eligible to receive a passport should not be placed in circumstances to miss a plane or unreasonably delay travel to obtain a police report. Citizenship Verification and Name Clearance: The U.S. embassy/consulate will confirm your previous passport issuance through our Passport Verification System or by requesting that Overseas Citizens Services, (202) 647-5225, in the U.S. Department of State retrieve the actual passport application. The consular section will also attempt to clear your name through the U.S. Department of State name check system to ensure there is nothing preventing the issuance of a U.S. passport to you (for example outstanding arrest warrant, court order, etc.) See 22 CFR 51.70 . Proof of Identity: You will also be asked for some proof of your identity. If all your personal papers were lost or stolen with your passport, your identity can be established in a number of ways. In most cases, the problem of identity is resolved quickly. It should be noted, however, that if there is any indication of possible fraud the consular officer may request additional documentation or other information. Information From Consular Interview: The consular officer may be satisfied as to your identity based on the interview with you, or may require other information. Identifying Witness: Persons traveling with a group or with friends, family or associates in the foreign country can have such a person execute an affidavit of an identifying witness before the consular officer. An identifying witness does not have to be a U.S. citizen. Information From Family, Friends or Associates in the United States: If you are traveling alone and do not know anyone in the foreign country who can attest to your identity, your family, friends, or associates in the U.S. may contact the consular officer by phone or fax confirming your identity. This is usually quite informal. In emergency situations, your contacts may also communicate with the U.S. Department of State, that Overseas Citizens Services, (202) 647-5225. Information From Previous Passport Records: If necessary, information about your identity may be obtained from your previous passport application which may have to be retrieved by Overseas Citizens Services, at (202) 647-5225, in the U.S. Department of State from the Federal Records Center which is located outside of Washington, D.C.
Will the Replacement Passport Be Issued For the Full 10-Year Validity Period for an Adult? Replacements for lost passports are normally issued for the full 10-year period of validity for adults. Occasionally, cases will arise in which the consular officer has some lingering doubt because of statements made by the applicant, or other circumstances, but is still reasonably satisfied as to identity and citizenship. If there is no time to request and receive the Department’s verification, a passport limited to 3 months may be issued. Limited passports may also be issued in cases in which an applicant has, by mistake, packed the passport with luggage being sent to another location, left the passport at home, perhaps in another country, but has to travel immediately, lost or been robbed of multiple passports in a short time span, etc. When issuing a limited passport in an emergency situation, consular officers will carefully explain to the applicant that the passport is limited for the duration of the present trip only. When the applicant returns to the United States and wishes to travel again internationally, the applicant will have to apply for a replacement passport and pay the regular fee. Are Fees Charged For Replacement of Lost/Stolen Passports Abroad? Can the U.S. Embassy Issue a Replacement Passport Over a Weekend or Holiday? U.S. passports are not routinely issued by U.S. embassies and consulates abroad on weekends and holidays when the embassy/consulate is closed. All U.S. embassies and consulates have an after-hours duty officer available to assist with life or death emergencies of U.S. citizens abroad. Contact the nearest U.S. embassy or consulate after-hours duty officer for assistance if you have an emergency need to travel. Phone numbers for U.S. embassies and consulates are also available in our Country Specific Information and Key Officers handbook. Duty officers must focus primary attention on life or death emergencies. Depending on the circumstances and conditions in the foreign country, it is very likely that a replacement passport may not be issued until the embassy/consulate reopens for business. At that time the Consular Section will be in a better position to verify your citizenship and identity and clear your name through the Department of State name check system.